The Gleiwitz incident (German: Überfall auf den Sender Gleiwitz; Polish: Prowokacja gliwicka) was a covert Nazi German attack on the German radio station Sender Gleiwitz on the night of 31 August 1939 (today Gliwice, Poland). The attack is widely regarded as a false flag operation, staged with some two dozen similar German incidents on the eve of the invasion of Poland leading up to World War II in Europe. The attackers had been posed as Polish nationals. Adolf Hitler invaded Poland the next morning after a lengthy period of preparations. During his declaration of war, Hitler did not mention the Gleiwitz incident but grouped all provocations staged by the SS as an alleged Polish assault on Germany. The Gleiwitz incident is the best-known action of Operation Himmler, a series of special operations undertaken by the Schutzstaffel (SS) to serve Nazi German propaganda at the outbreak of war. The operation was intended to create the appearance of Polish aggression against Germany to justify the invasion of Poland. 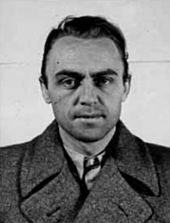 Evidence for the Gleiwitz attack by the SS was provided by the German SS officer, Alfred Naujocks in 1945. The historic Gliwice Radio Tower in 2012, the tallest wooden structure in Europe. Much of what is known about the Gleiwitz incident comes from the affidavit of SS-Sturmbannführer Alfred Naujocks at the Nuremberg Trials. In his testimony, he stated that he organised the incident under orders from Reinhard Heydrich and Heinrich Müller, chief of the Gestapo. On the night of 31 August 1939, a small group of German operatives dressed in Polish uniforms and led by Naujocks seized the Gleiwitz station and broadcast a short anti-German message in Polish (sources vary on the content of the message). The operation was named "Grossmutter gestorben" (Grandmother died). The operation was to make the attack and the broadcast look like the work of Polish anti-German saboteurs. To make the attack seem more convincing, the Gestapo murdered Franciszek Honiok, a 43-year-old unmarried German Silesian Catholic farmer, known for sympathising with the Poles. He had been arrested the previous day by the Gestapo and dressed to look like a saboteur, then killed by lethal injection, given gunshot wounds. Honiok was left dead at the scene so that he appeared to have been killed while attacking the station. His corpse was then presented to the police and press as proof of the attack. Several prisoners from the Dachau concentration camp were drugged, shot dead on the site and their faces disfigured to make identification impossible. The Germans referred to them by the code phrase "Konserve" (canned goods). Some sources incorrectly refer to the incident as Operation Canned Goods. In an oral testimony at the trials, Erwin von Lahousen stated that his division of the Abwehr was one of two that were given the task of providing Polish Army uniforms, equipment and identification cards; he was later told by Wilhelm Canaris that people from concentration camps had been disguised in these uniforms and ordered to attack the radio stations. The Gleiwitz incident was a part of a larger operation carried out by Abwehr and SS forces. Other orchestrated incidents were conducted along the Polish-German border at the same time as the Gleiwitz attack, such as a house burning in the Polish Corridor and spurious propaganda. The project was called Operation Himmler and comprised incidents giving the appearance of Polish aggression against Germany. German newspapers and politicians, including Adolf Hitler, had made accusations against Polish authorities for months before the 1939 invasion of organising or tolerating violent ethnic cleansing of ethnic Germans living in Poland. On 1 September 1939, the day following the Gleiwitz attack, Germany launched Fall Weiss (Case White) the invasion of Poland, which precipitated World War II in Europe. Hitler cited the border incidents in a speech in the Reichstag on the same day, with three of them called very serious, as justification for his invasion of Poland. Hitler had told his generals on 22 August, "I will provide a propagandistic casus belli. Its credibility doesn't matter. The victor will not be asked whether he told the truth". American correspondents were summoned to the scene the next day but no neutral parties were allowed to investigate the incident in detail and the international public was sceptical of the German version of the incident. There have been several adaptations of the incident in cinema. Der Fall Gleiwitz (1961), directed by Gerhard Klein for DEFA studios (The Gleiwitz Case; English subtitles), is an East German film that reconstructs the events. Operacja Himmler (1979) is a Polish film that covers the events. Both Die Blechtrommel (1979), directed by Volker Schlöndorff and Hitler's SS: Portrait in Evil (1985), directed by Jim Goddard, briefly include the incident. It was also mentioned in a video game; Codename: Panzers (2004), which stirred up controversy in Poland where the game was briefly discussed in Polish media as anti-Polish falsification of history, before the issue was cleared up as a case of poor reporting. ^ "20 Nuremberg Trial Proceedings Volume 4". Avalon Project. 20 December 1945. Retrieved 12 October 2009. ^ "Museum in Gliwice: What happened here?". Muzeum.gliwice.pl. Retrieved 8 March 2014. ^ "20 Nuremberg Trial Proceedings Volume 2; Friday, 30 November 1945". Avalon Project. Retrieved 8 November 2012. ^ a b c "Address by Adolf Hitler". archives of the Avalon Project at the Yale Law School. 1 September 1939. Retrieved 4 June 2015. ^ "Holocaust Educational Resource". Nizkor. Retrieved 8 March 2014. ^ "Skrytykowali grę, choć jej nie widzieli". Wiadomosci.gazeta.pl. 23 August 2004. Retrieved 18 May 2012. Stanley S. Seidner, Marshal Edward Śmigły-Rydz Rydz and the Defense of Poland, New York, 1978. Polak-Springer, Peter (April 2013). "'Jammin' with Karlik': The German-Polish 'Radio War' and the Gleiwitz 'Provocation', 1925–1939". European History Quarterly. SagePub. 43 (2): 279–300. doi:10.1177/0265691413478095. Lay summary. "Blitzkrieg September 1, 1939: a new kind of warfare engulfs Poland". Time. 28 August 1989. Retrieved 4 June 2015.